I have a weakness for tree-inspired nursery décor, and my heart truly skipped a beat when I laid eyes on these lamps. Stunning in their simplicity, these Birdhouse Lamps have clean, smooth lines and are modern, yet timeless. Move over mumpreneurs, these have been designed and made by a dad. 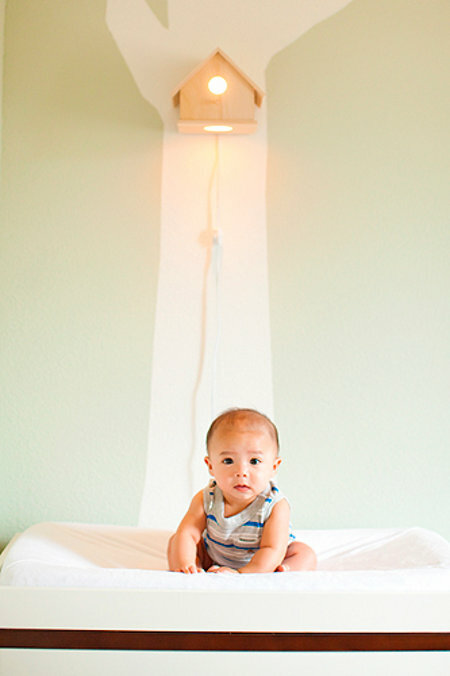 US-based Michael Ly wanted a similar lamp for his son, but after only finding expensive designer versions, he turned his hand to some DIY, and so was born the Birdhouse Lamp. 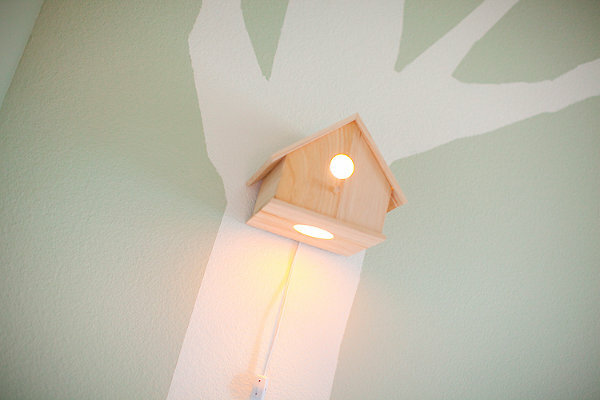 His newest design is the Peak-a-Boo Birdhouse Lamp. Working doors with copper hinges allow the amount of light seeping through the charming little lamp to be adjusted. Each lamp is hand-crafted from real wood and comes complete with the light bulb and cord. Be advised, this is a standard American wall plug so you will need a local electrician to convert it for you. The lamps cost between US$45 and US$60 and postage to Australia is US$25 – Michael says he’s already taken several orders from our end of the globe.